Project I, an innovative apparel manufacturing group started by fashion executives Jon Lewis and John Elmuccio, has announced its collaboration with Germany’s leading flat knitting machine manufacturer Stoll, during the Stoll Symposium in New York City this week. Project I and Stoll’s advanced apparel manufacturing facility results in the largest single order of Stoll’s latest 3D knitting machinery and software solutions within the US. This collaboration is expected to bring a great output of jobs and help position the US as a key player of the apparel manufacturing and supply chain market. The installation of the 300 high-tech flatbed knitting machines will happen throughout the next three years. 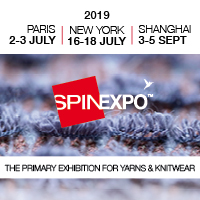 Stoll will install the latest generation of ADF machines, which feature yarn carriers that are independent of the carriage and can move horizontally and vertically, and the latest CMS 830 C&S Knit & Wear (seamless knitting) machines. Stoll will provide programming, training, manufacturing and on-site production support while guiding new and existing customers alike to Project I. Project I’s new venture will incorporate an eco-friendly workspace that will provide sustainable manufacturing jobs. Production is anticipated to begin at the end of 2019 at a brand-new US-based facility.